In July, BAZ-ART was commissioned to work with Miller Beer to create a campaign which expressed their fresh take on beer. The activation involved producing a time-lapse of an artist creating a mural that embodied the flow of energy from a beer. One of Jozi’s finest, Bongani Mahlathi, commonly known as Dbongz was selected to created this collaborative piece with Miller Beer on behalf of BAZ-ART. Dbongz comes from a little townships called Mohlakeng in the west of Johannesburg. He has been exercising his artistry since his university days at the University of Johannesburg. 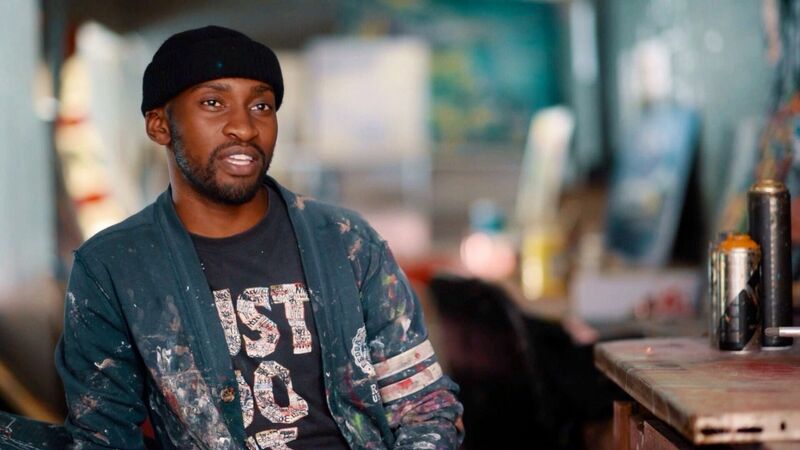 He considers himself a self-taught artist and has started his own small business doing mural art and outdoor advertising services. As a result of his artistry, he has been invited to participate in various festivals, activations and exhibitions. Some of the brands that he has worked for include: Mall of Africa, Pepsi, Hyatt Hotel, Roche Bobois, Absolut Vodka, LG Electronics among many more. He is inspired by the vibrancy of different colours which is usually reflected in the work he produces. His pieces often fuse color with patterns and texture, drawing from nature and its ever changing elements and effects. He aspires to use art to bring new hope to townships which is often subjected to negativity, gloom and despondency. To him, the presence of colour itself changes the external environment and context which indirectly changes perspectives and behaviour. His life mission is to bring colour to the world, healing scars, humanizing dull spaces and transforming lives one wall at a time. For this activation, he illustrated a burst of radiant energy oozing out of a Miller beer bottle in all directions. It was used for the #ExpressYourFresh campaign which aimed to bring about a fresh take on an exceptional quality beer. This collaboration demonstrates the links, network and opportunities BAZ-ART prepares to extend to emerging street artists in South Africa.